2014 was a fantastic year for Landford Stone. We introduced our New TELTOS Range and by working directly with a manufacture who’s quality factory produce colours that are popular with the end user and by cutting out the middle man, Landford Stone are able to offer the TELTOS range at great unbeatable prices. We had no idea how popular TELTOS would become, we have been bowled over by the demand for this material and have doubled our stock held. 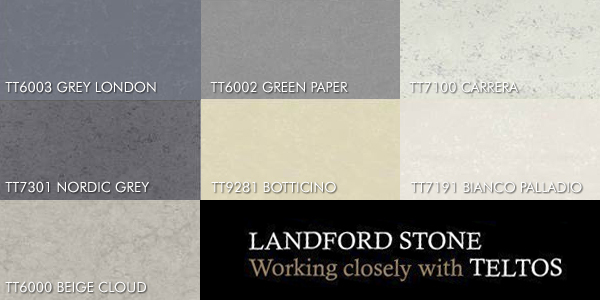 Looking forward to 2015, Landford Stone will expand their TELTOS range with 8 new colours, creating a whole new range called premier. 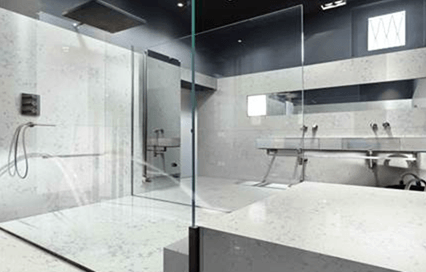 Based on exciting new marble colours and stunning greys in a brushed finish totally new to the quartz market. Initial response has been very positive. Two other colours are on the way and will be here by the middle of May. 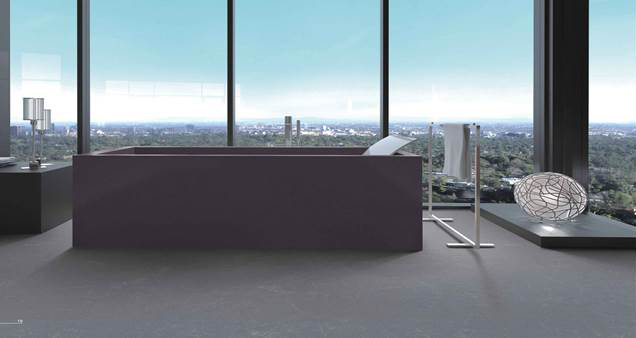 The TELTOS Select Range will now include a new colour called Nombre and all be offered at one set price. The Premier Range will also be at one set price. Once introduced in September 2015. Landford Stone hope by doing this it will make things a lot easier for you.